PUBLIC Administration Minister Marlene Mc Donald did not get her wish to go home after spending a few hours at the Port of Spain General Hospital (PoSGH) yesterday and instead was transferred to the Eric Williams Medical Sciences Complex (EWMSC) in Mt Hope where she spent the night. 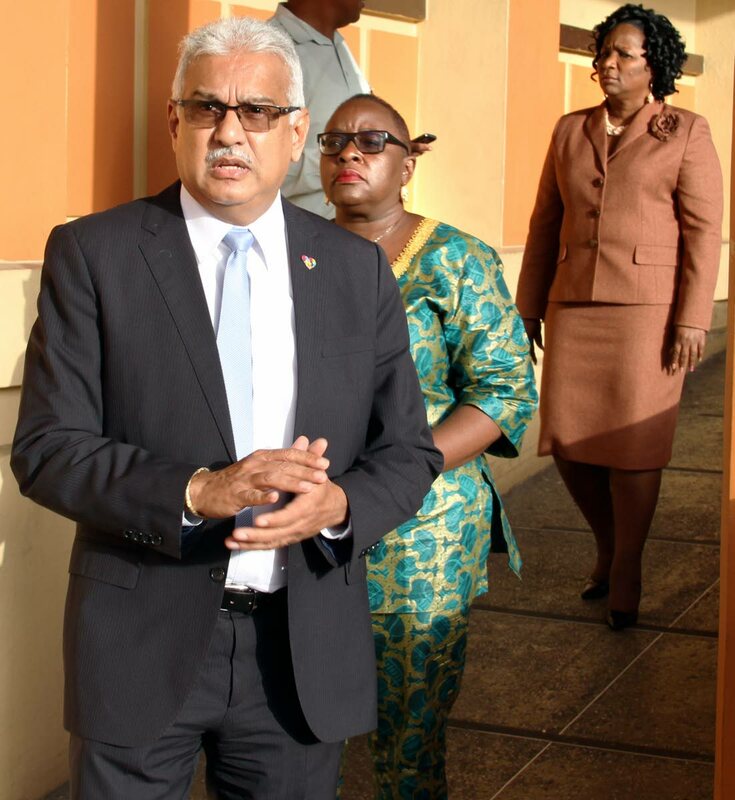 After spending about four hours at the Port of Spain General Hospital yesterday Mc Donald told her Cabinet colleagues, Health Minister Terrence Deyalsingh, Minister of Planning and Development Camille Robinson-Regis and Minister of Social Development and Family Services, Cherrie-Ann Crichlow-Cockburn, that she was ready to go home. The trio was at her side as she underwent various tests at the hospital which included CT scans and blood tests. Around 6 pm, she was transferred to the EWMSC as it was closer to her home, Deyalsingh said adding that she was only being kept for observation and that her condition was not life threatening. Speaking with Newsday outside the the PoSGH yesterday Deyalsingh said Mc Donald was doing so much better that she was “giving them lip”. “She complained of feeling generally unwell, couldn’t stand and general weakness but she did not faint was able to talk with us and now she is back to her old old self and even giving us a lot of lip. She says she wants to go home, which is a good thing,” Deyalsingh said. Deyalsingh added that around 1.30 pm yesterday following Cabinet Mc Donald began feeling ill at Diplomatic Centre, St Ann’s and emergency health services was called in. The health officials took Mc Donald to Port of Spain where she spent most of the afternoon being poked and probed to ascertain what may be wrong with her. Reply to "Marlene falls ill"